At a time like this, sending birthday greetings to people you love is a sign of your love to them and your good intention, wishing more good things to come into their lives. 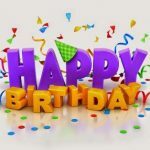 The fact remains, I love sending birthday wishes, happy birthday quotes, and happy birthday messages to all my family and friends, especially friends on social networking site. 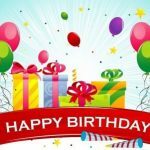 I believe you too is likely to do the same, that’s why you’re here and you’re not going to be disappointed with the birthday greetings in this post. 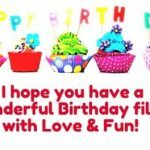 Here are the collections of memorable birthday greetings you can send to your family and friends and who else also deserve the birthday greetings. 1. Everyone is special but there is none compared to your unique qualities. Explore this new year with your unique trends. Happy birthday. 3. You’ve set a good pace for others to follow. It’s that time of the year where you’re to celebrated. Enjoy your day. 4. Despite out numerous fights, you’ve taught me what it means to be a true friend. I celebrate you in this special day. 5. You’re not only a best friend to me, you’re like a brother to me. Happy birthday pal. 6. Even through my darkest times, you’ve taught me how to pull through and smile. I wish you a new year with wonderful things that will make you smile. 9. Happy birthday to the only person who can turn my tears to smile. You will have no cause to cry in this year. 10. I can’t thank you enough for all the good things you’ve done in my life. As you celebrate your birthday today, the light of God will not depart from you. 11. I cherish those sweet memories of ours that could make the top selling book. Happy birthday friend. 12. Despite how we celebrate you yearly, you’ve always made a unique change and impact in people’s life. Happy birthday. 13. Happy birthday to the true friend who’s held on strong to the bond of friendship. 14. Thanks for all the affection and wonderful guidance you’ve showered on me for the past years. Happy birthday. 15. Happy birthday to one of the person’s who’s loved me the most. Permit me to love and spoil you silly today. 16. You’ve gone out of your way for so many people, you deserve the world’s best wishes from all as you celebrate your birthday today. 17. You’re the most amazing, gregarious, sweet minded person I’ve ever met. Enjoy this year filled with your priceless smile. Happy birthday. 18. Those moments we’ve shared together are like treasures to me. I linger for more birthday with you. Enjoy your day. 20. Thanks for being the perfect companion through this journey of lie. Have a gorgeous birthday celebration. 21. Here’s my birthday greetings to you. May you never lack and when you’re in need, the God you serve will always meet you at the point of your need. 22. It’s another year my padi, you shall see more years with abundant blessing flowing unceasing in your life. 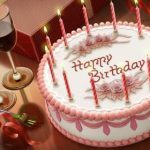 This is my birthday greetings to you dear. 23. I don’t need to ask how old are you cos memories with you makes me feel younger. Happy birthday. 24. Happy birthday to this gorgeous friend of mine. God bless and keep you. 25. Your presence in my life has made life more beautiful. Happy birthday to you. 26. This year shall be your year filled with manifestation of God’s plan for you. Happy birthday. 27. I believe this new year will unwrap million of goodies for you. Happy birthday. 28. Thanks for being there for me when everyone turned their backs on me. You deserve the best treat ever. Happy birthday. 29. I pray you live long to enjoy more years on earth. I love you. Happy birthday. 30. As you grow older today, I wish you the best of life. 32. 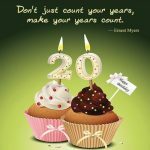 Make today special as its only celebrated once. Happy birthday. 33. Happy birthday to my partner. I couldn’t have asked for a better partner. Enjoy your day. 34. You’re an amazing person who I’ll be stuck to loving all my life. Cheers to more years till we grow old. 35. I asked God to preserve the life of this person reading this and I’m glad he’s celebrating his birthday today. Enjoy. 36. There are so many qualities that I’ve learnt from you and they are innumerable. Happy birthday to a rare gem. 38. Showers of blessings, undiluted grace and divine turnaround shall rain on you as you step into a new year today. Happy birthday to you. 40. I am where I am today because you saw me through and guided me right. Happy birthday. 41. The angels shall take charge over everything that matters to you as you add a year today. Happy birthday. 43. You never treated me bad since I met you, thus you deserve a day full with jubilation. Happy birthday. 44. My best wish for you today is that you become a great person worthy of emulation. Happy birthday. 45. Since the day you came to this earth, you’ve always been on my heart. I cherish you on this special day and beyond. 47. When I wake up every morning, I always thank God for blessing me with someone like you. I’m glad we’re spending another year together, Happy birthday. 50. Happy birthday friend. You shall go older in wisdom and increase in knowledge. I hope you enjoy the happy birthday greetings here. 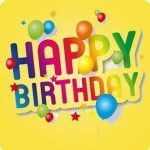 Please check the related links below for more birthday greetings.